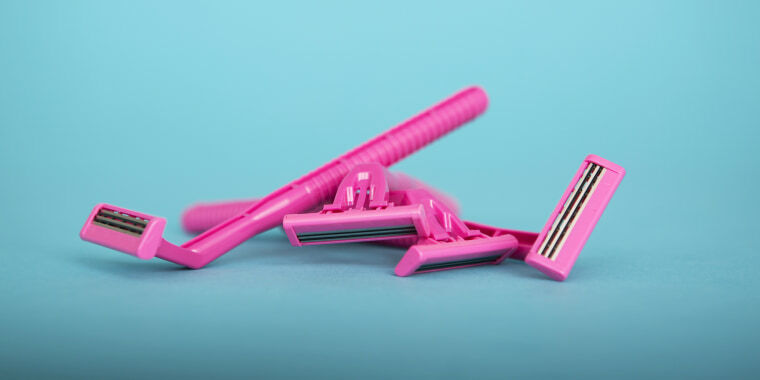 Men have "Movember," where they grow out their facial hair to raise money and awareness for men's health issues, and now ladies have "Januhairy," a reason to skip shaving and grow their body hair with pride. Laura Jackson, a 22-year-old drama student at the University of Exeter in the U.K., started the movement after growing her own body hair for a performance and noticing her own reaction to it. "After a few weeks of getting used to it, I started to like my natural hair," she posted to an Instagram account created for the campaign. "Though I felt liberated and more confident in myself, some people around me didn’t understand why I didn’t shave/didn’t agree with it." "Society seems to be behaving as if the natural hair we grow on our bodies is unattractive and distasteful. We are so used to removing our body hair that we are becoming unfamiliar with our authentic selves," she wrote. "Media and films have an influence on young women and how they feel they should be," Jackson told TODAY Style by email, explaining that Disney princesses and other portrayals of women had an effect on her self-esteem growing up. 3) he'll probably think it'll add mystery in the bedroom. "It's important that we see these (negative) comments, because it reminds us why we are doing this campaign and what opinions we are trying to change," Jackson told TODAY Style. "These people don't understand this yet and that's OK ... that's what the campaign is for. At least we are all talking about it!" It seems as though Julia Roberts was way ahead of the curve on this one. The movie star caused a commotion when she arrived at the premiere of "Notting Hill" with underarm hair in 1999. She recently dished on "Busy Tonight," however, that it was really an accident, as she'd misjudged the length of her sleeves and how much they would show of her armpits. Gigi Hadid appeared to sport some underarm "fuzz" more recently in a Love Magazine advent calendar video, though it's possible it was just fabric from a jacket she'd been wearing. And women's shaving company Billie made history by running ads featuring women with body hair. The ultimate goal of Januhairy, according to Jackson? "This project will hopefully allow us to understand more about ourselves and from that understand each other more!" she said.